Stanton was born in a house at Herriot Street and Broadway in Yonkers, New York. The house was one in a row that apparently were built on speculation by the Herriot family and rented. They were torn down long ago and replaced by commercial buildings. His parents lived there briefly - one stop on his mother's quest for an ideal church and minister. They were soon in Elizabeth, NJ. 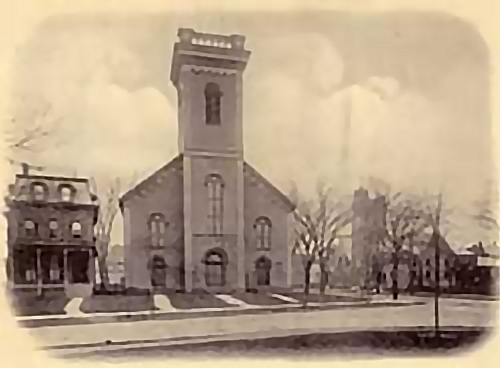 At the Third Presbyterian Church there he was baptized with his sister Gertrude on 19 December 1875 by the itinerant evangelist minister George O. Barnes. Stanton was, following Elizabeth, raised in the New Jersey towns of Plainfield, New Brunswick, Jersey City, Hoboken, then Plainfield again. As a young man he lived with his parents as they then moved to Elizabeth, again, and finally Montclair. The families spent some of their summers in Maine and Rhode Island. Stanton, at 3 years, was exploring a stone wall at Quonochontaug, near Haversham, Rhode Island, and in his words, "fell...and was pinned down by a stone that rolled on my leg. Father found me after I had lain there several hours, probably cried myself to sleep." His father went out to search for him, calling "Stanton, m'boy, where are you?" Stanton, out of sight, responded, and his father found him by peering over the wall. Years later, about 1910, the event was reenacted for the following snapshot. Stanton married Harriet Briggs in 1893 at the and set up their own household at 30 Willow St., Montclair. They bought their (first?) 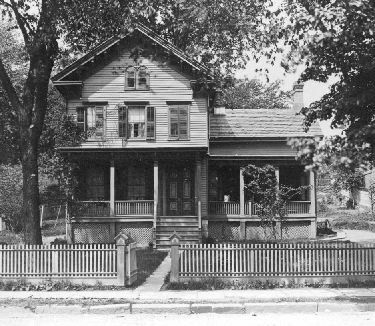 house at 82 Union St. about 1896. They remodelled the house and Harriet landscaped the property. Stanton commuted to Manhattan, where he was a partner in the family-run Holbrook Manufacturing Co., which made industrial soaps. The Smiths attended St. Luke's Episcopal Church - a very short walk from their house. Stanton was an avid and intrepid boatman. At 18 he had his first boat made for him - a rowboat patterned after small ferries used between Manhattan and boats anchored off Bedloe's (now Liberty) Island. He named it Beryl after one of the types of soaps made by Holbrook Manufacturing. He proudly fitted the vessel with a private signal of his own design and flags representing his station as an ensign in the U.S. Yachting Association(?). After various adventures he sold Beryl the next year but kept track of it. Years later he and Harriet found that it was available for hire in Huntington, New York, and they took it out one last time at 20 cents an hour. 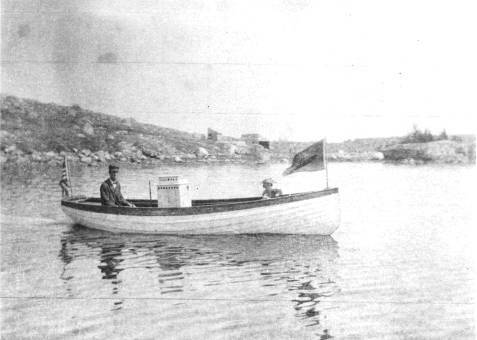 His next boat was Holbrook, bought in 1896. It was a 16 foot motor launch and joined the Smiths for summers in Casco Bay, Maine. It made its way there by way of the steamer Cottage City to Portland then transferred twice more to get to Rockland. Stanton made his way from Rockland to the family's newly-purchased property on Kimball's Island. When the motor failed, he had to row the remaining 7 miles in the still, August heat. It was used well in the next six years, cruising the bay with Stanton, Harriet and their young children Stod and Peggy. In 1903 Stanton had the 32 foot Yeddo made, which they also pressed into good service in Casco Bay for many years. 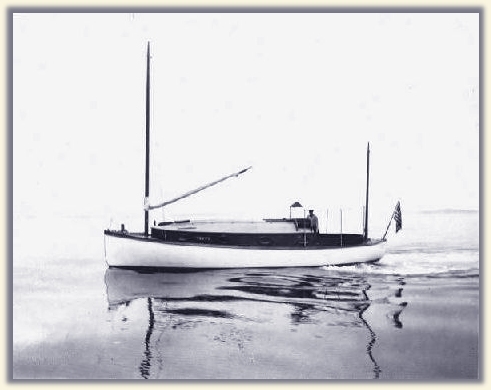 Stanton was a member of the Portland Yacht Club, and appears on at least two memberships lists in 1913 and 1920.casco Much more on Stanton's boating adventures can be found in Chips Wendell's collected stories on the subject. In Montclair, Stanton and Harriet joined their son Stod and his family and the Adrian Von Schmid family in developing a lot of land in Upper Montclair for their homes. The three houses were designed by Adrien T. Von Schmid, a partner in the architectural firm Holmes & Von Schmid and a family friend. They were arranged around a cul de sac that became known as "the WHO" - a play on words: WHO for Wolf's Head Oil, for which Stod Smith worked, and the English geographic term "hoo." Stanton and Harriet's house was addressed as 578 Park Street There was a tiny gaurdhouse at the end of the drive to complete the picture, but was never used. Stanton also had musical passions. The program for the 1937-38 season of the New Jersey Symphony Orchestra has this to say: The New Jersey Symphony Orchestra had a modest beginning in Montclair about 1920, when Stanton M. Smith, present treasurer, rounded up a few musical friends in that town and organized them into a group to play for performances of the Montclair Players. Cars were a comparative rarity even at that late date, and he often had to travel all over town picking up the players for rehearsal. The group expanded within the next couple of years as interest grew and became the Montclair Orchestra...By 1925, the scope of the unit had extended outside of Montclair to the Oranges. The name was changed to the New Jersey Orchestra... Stanton played the cello(?). Stanton continued to manage the soap company, but reportedly not very well. Proctor & Gamble made an offer to buy the company, which he turned down, saying he didn't need them. Holbrook Manufacturing survived the Depression but failed in the late 1930s, leaving Stanton to look for odd jobs in his later life. He and Harriet had to sell their house in Montclair. Harriet moved in with their daughter Peggy Wendell and her family in Wayne, Pennsylvania, and Stanton moved across the "who" to live with son Stod and his family. As he and Harriet became infirm in their old age, they both made Wayne their home. Stanton died at a hospital in Philadelphia and his ashes were scattered in Casco Bay. 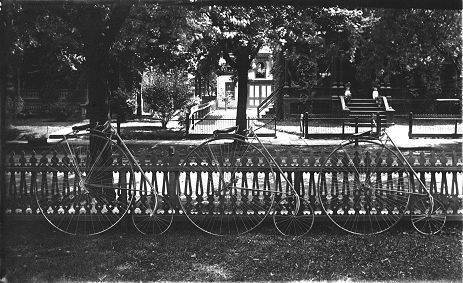 the Smith brothers' bicycles, Plainfield, NJ, abt. 1890.
sources for vital records: There is no municipal record of Stanton's birth, but is found in family records. His marriage date also comes from family records and a memorial of the marriage (information inserted in a pre-published booklet) is in possession of the author's mother. His death was reported in the Philadelphia Enquirer (undated clipping). Casco Bay Directory (Portland, ME & Beverly, MA), p. 214 (1914) and no page noted for 1920.